At TFCU, we love helping our veterans who have served our country well and now need a little help from us. During September, we will raise funds to support four specific projects we have planned to help a few of those veterans, and you can be part of it, too. Each branch will have various fundraising activities going on at their location and welcome support from our members. The projects you will be supporting are to benefit the veterans named below. We have partnered with Purple Heart Homes and Veterans Corner to identify these veterans and provide needed adaptations to their homes this year to make their living spaces more accessible and livable. All funds raised in September will go to support this work. Thank you for your support of these efforts. 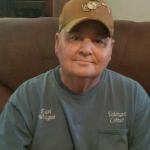 Earl is a former marine who served from 1965 to 1969 during the Vietnam War. He was honorably discharged and now lives in Lexington, Oklahoma. 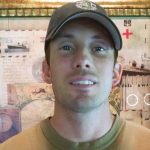 Jacob was a Green Beret in the US army, serving from 2002 to 2013 during Operation Enduring Freedom. He was honorably discharged and now lives in Choctaw, Oklahoma. 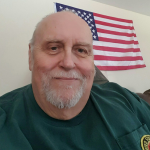 Gerald is a former marine sergeant from 1963 to 1969, serving during the Vietnam War. He was honorably discharged and currently lives in Oklahoma City. 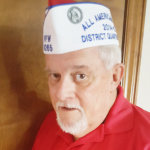 Charles is a former Navel officer, serving from 1969 to 1978 during the Vietnam War. He was honorably discharged and currently lives in Moore, Oklahoma. Click here to learn more about our partnership with Purple Heart Homes.